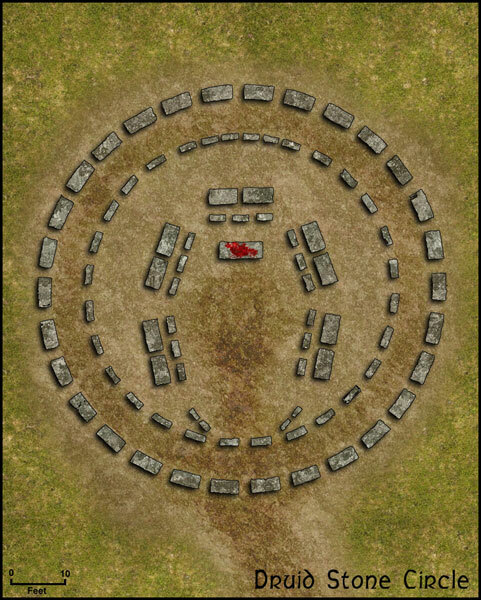 Cartography is a hobby of mine (sometimes more like an obsession ) and I thought I would post a few maps that I've created that I think could work in a M&M game. First off, here are some older maps that I've done. Rooms 2, 5, 6 & 8 have narrow slits high in the walls for additional light and air flow. 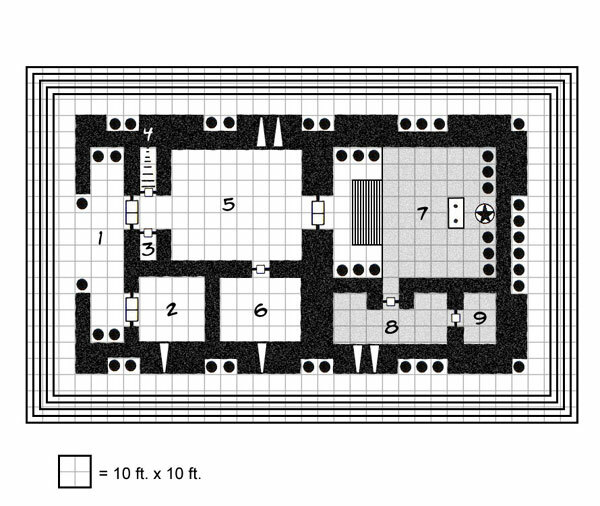 The grey area of Rooms 7 - 9 are of a lower elevation than the rest of the temple. These are great Tim! Would love to see more! I have lots but they aren't all Greek inspired temples. The first one is a Classical inspired temple based on the Temple of Zeus at Olympia. This one is inspired by the Great Temple of Ammon at Karnak, Egypt. And finally, a "Druid" Stone Circle based on Stonehenge. These are really great work : when will someone write a scenario around one of them ? 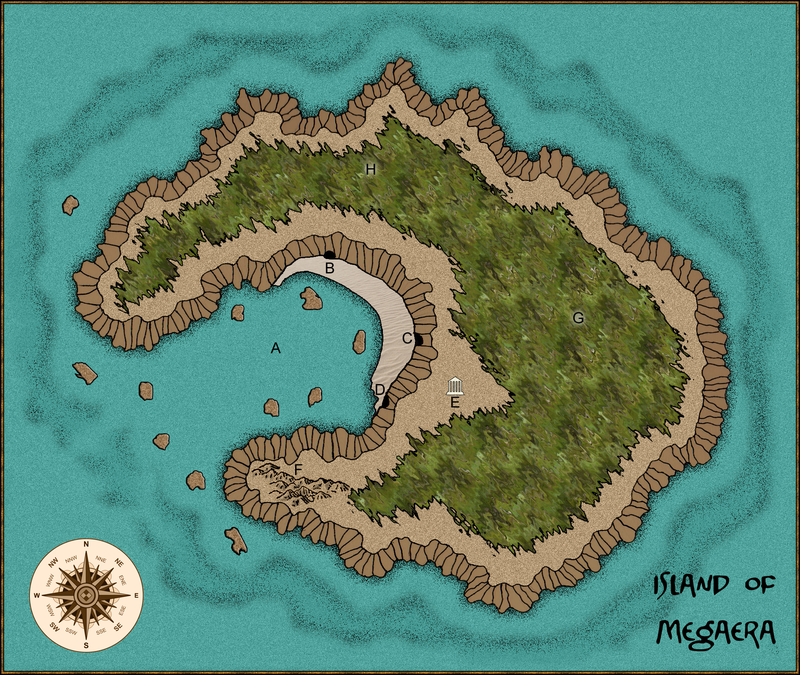 Here is the island map that I drew for my M&M idea with noted areas marked (click to enlarge). Next is a map that details the island's caves (click to enlarge). 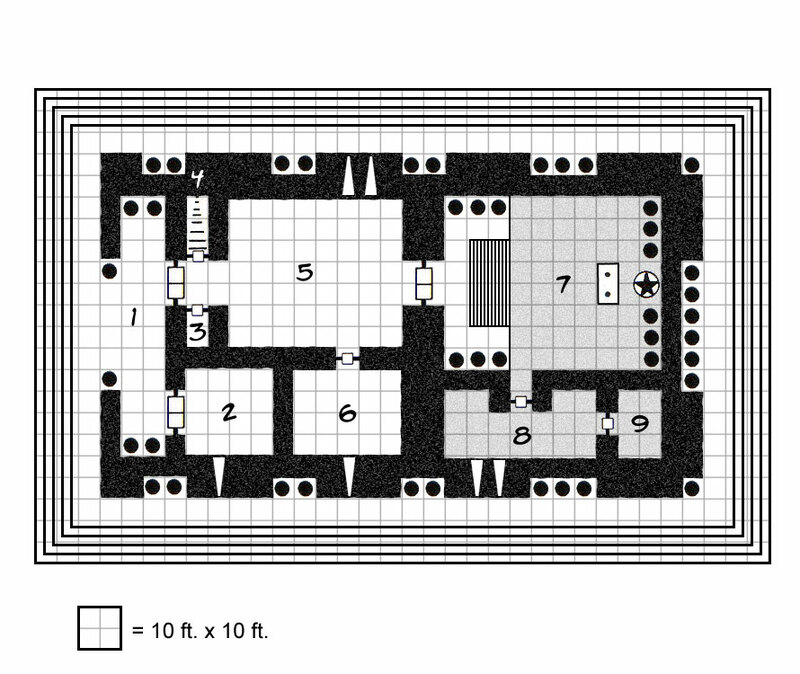 Cavern #4 has access to the surrounding sea (via an underground passage not visible at sea level). Cavern #6 has a pit that leads deeper into the earth. 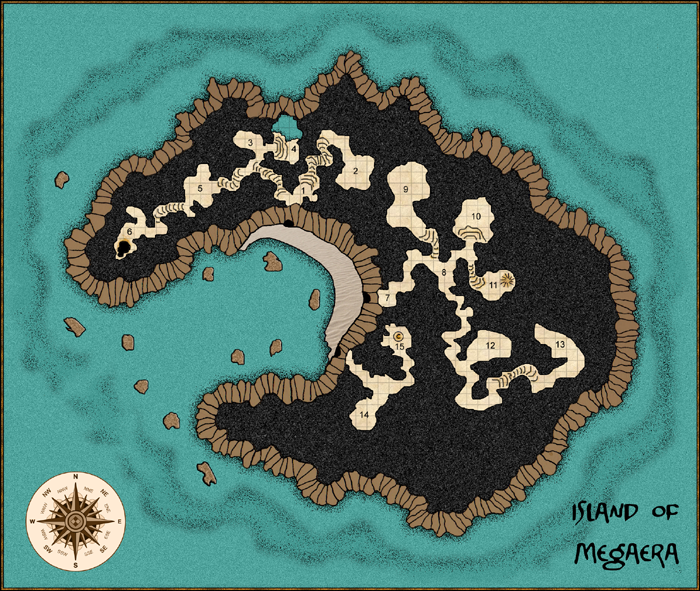 I realize you may already be using the Island of Megara map for your own M&M material, but I just had a look at it and realized it would be perfect for my "Game of the Gods" write up, which could presumably be published on the M&M website. This adventure involves obtaining the scattered "Chess Pieces of the Gods" from different monster groups on an isle consecrated to Hera, in an effort to battle an evil sorcerer with the other half of the set. 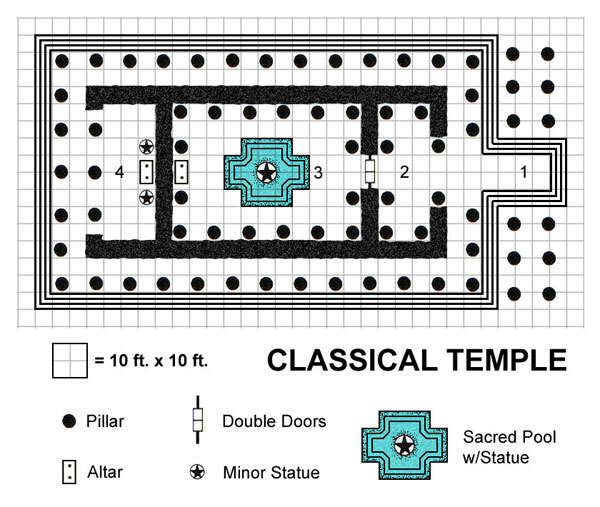 The cavern systems seems perfect for the different monster groups (including Tragos, Scorpion Men, Cyclopes, a Gorgon, Empusae, and a maze full of Minotaurs), and it even includes a little temple (two of the pieces are located in a Temple of Hera, and the characters must convince the Priestess to give them up or steal from the temple and lose 1d6 luck). So... can I please use your awesome map? 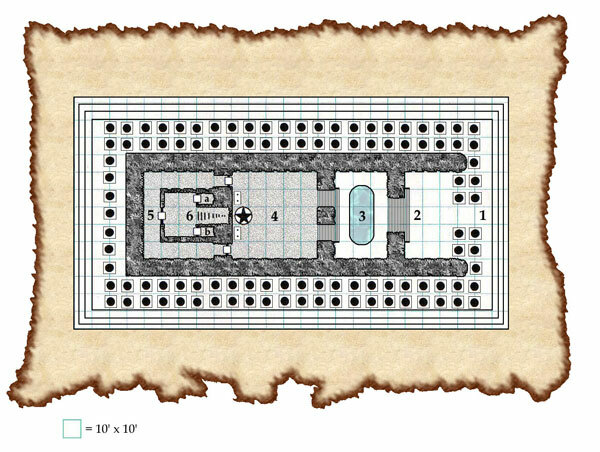 BTW Koga, cavern 11 has a natural chimney that leads to the surface and cavern 15 has a concealed entrance in the ceiling that leads to the temple above. At least that was my original intentions. Best of luck on the Game of the Gods adventure.